We’re constantly advised that we need to back up our data. That way, if something goes wrong and valuable files are lost, we can easily get them back. But there are a few problems here. Not everyone follows advice, and taking the time to do something as dull as backing up data is not exactly at the top of everyone's list of priorities! Even if you do go to the trouble of backing up data, there’s plenty of potential for files to slip through the cracks. You may have neglected to include an important folder in the backup job, or your hard drive may fail the day before your weekly backup is due to be updated. This is where data recovery tools can save the day, and here we take a look at five of the very best free options that are available. This version is free, but there are paid-for editions available as well, so you will realise that there are a few restrictions. You can only recover 1GB of data, you don’t have the option of saving scan results to work with later, and a few other options are missing – but there's absolutely nothing that stops this from being a great free recovery utility, aside from the occasional ad here and there. You can limit scans to specific files types, and MiniTool Power Data Recovery Free is capable of getting files back from partitions you are not even able to see, and there's support for removable drives including optical media. Scans are pleasingly fast, and results are searchable to make it easier to find exactly what you're looking for. A superb piece of software that worth of your attention. Featuring a delightful simple interface, Disk Drill make file recovery very simple. There's no need to fiddle with complex options, and the program can be used to scan local as well as removable drives and memory cards. Performance a scan of your chosen drive and you're presented with a list of recoverable files, grouped by type, and you have the option of previewing image files in advance. It's a simple, effective tool with a high success rate. What seems like a nice touch for anyone who is a little nervous about data recovery, is the inclusion of a quick tutorial the first time the program is run – but it is simplistic in the extreme and of little real value, and ultimately serves as an ad to upgrade to the Pro version. Disk Drill is available for both macOS and Windows. Upgrading to Pro increases the number of computers the software can be used on, and opens up more options such as advanced scanning and wider file system support. For most people, however, the free version should cover all the usual eventualities. Keeping things nice and simple, EaseUS Data Recovery Wizard Free is the friendly, accessible face of recovering lost files. Fire up the program and you're presented with a screen asking which drive you would like to scan for recoverable data – you then just need to hit the Scan button. There are no options to configure, but if you know exactly where a file has gone missing from, you can specify a folder to scan to speed things up. Results are presented in an Explorer-style view which is easy to navigate, but unfortunately there is no indication of the quality of files that have been found – although a preview option is available. You can then select the files you're interested in, and restore them. It's worth noting that the free version of the program only lets you recover up to 2GB of data (500MB by default, but this can be increased from within the program) before you have to upgrade to the paid-for version. While this is not enough for a complete hard drive recovery, it should be enough to help you to get back your most important files when you need to. 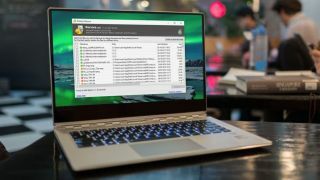 Something of a stalwart of the data recovery genre, Recuva has managed to build up a dedicated following – and it's not hard to see why. The program can recover data not only from hard drives and memory cards, but also your iPod. While some data recovery tools make this easy by having a simple interface, Recuva takes things further and guides you through the entire process with a wizard. You can perform a lengthy deep scan to track down all recoverable data, or you can limit the search if you're looking for something specific – and it's nice to have this flexibility. As an added bonus, there is a secure deletion option which does the exact reverse of the main feature of the program – it deletes files you are sure you no longer need and renders them unrecoverable. A downside to the program is the heavy promotion of the Pro version of the app, but if you can turn a blind eye to this, you have a powerful tool on your hands – and you can probably live without support for virtual hard drives anyway! Despite the inclusion of the word "pro" in the name, this program is still free; there is, in fact, no non-pro version. The look of UnDeleteMyFiles Pro may not be particularly appealing, but don’t let that put you off too much as there are multiple tools included here, not just data recovery. Recovery can be a little hit and miss as there is no indication of the quality (or recoverability) of files – you just have to hope that the file that are found are in a reasonable state. When it comes to data recovery, there aren't really all that many options other than the ability to search for particular types of files to reduce the size of the list you have to sort through. In terms of extras you also get a disk snapshot tool which basically backs up your drive so you can recover data at your leisure, a secure file deletion tool, and email recovery. Worth checking out, even if this is not necessarily the best of the bunch.